It's wonderful to build your own little library of books that have truly impacted you. Whether you collect books or give them as gifts, you will love these selections from members of the We Are Ambitious Christian Women group! I recently polled our group of go-getter Christian women asking what book (other than the Bible) most inspired them and why. I was amazed and intrigued by so many of these, so I thought I'd share this list with you! I think you'll find a few titles here that you'll love. When you purchase through one of my links, you support my writing, so if you choose to buy, thank you so much! I personally think that a beautifully wrapped book makes for an excellent hostess gift. Do you expect to be invited to some gatherings over the upcoming holidays? Why not shop the wisdom of women! Thank you for looking. Rob and I watched the documentary "Fat Sick and Nearly Dead" on Netflix and promptly ran to the grocery store to get everything we need to dramatically change our diet! I have been fascinated with the brain-body connection and knew even though I'm already a pretty healthy person, this would bring us to a whole new world! 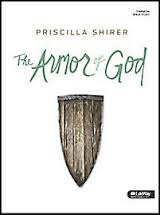 Armor of God: Women's Bible Study - online group forming now! Hello Love! If this is our first time meeting, good to meet you - my name is Laura Gabriele and I am a writer and traveler who loves the Lord! Yeah? Yeeeeah? hehe ok Then let's get right to it! TIME: We will "Go Live" in the group at different times, you will be notified before so you can join in! Thank you for your interest in participating in this online study group. If you have any questions please reach out to me, Laura Gabriele-Enriquez, on Facebook Messenger. My husband Rob and I are working on a few projects that have taken us across the country and very soon we are going out of the country (Guatemala) for mission work! When we started this journey a couple months ago, the hardest part for me wasn't building my biz to support it, it was saying "goodbye" to my phenomenal women's group back in upstate NY. Nothing can replace the richness of the relationships formed between women who truly support each other. And as much as I hate to admit it, sometimes even the internet with all its Facebook and Instagram can be a very lonely place! 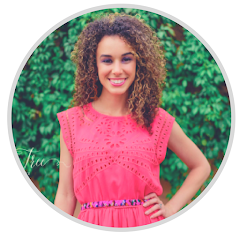 Knowing I would be making this lifestyle change that would disconnect me from my support network, I decided to form the exact group I'd need to keep me and other women like me on track while traveling and pursuing big dreams and goals: the We Are Ambitious Christian Women group. And now this Bible study is a big step up from that, too. It's definitely not the same as meeting in person, but I thought I'd put it out there to the wide internet that I'll be studying this book alongside them and plan to share online. Never stop learning, growing and reaching! I am stationed in a small mining town in New Mexico called Silver City and I am here this morning to tell you to believe. Well, I have been getting very motivated by the industriousness of the mining community as well as the uniqueness of the artist community that is living here. I'm fascinating by God's broad diversity. I was wondering though, what about you? Do you believe in yourself? Do you believe in the spark God gave you enough to activate it into a flame and make a big impact beyond yourself and loved ones? Do you believe the Holy Spirit is really living in you to give you more than just occasional "feelings" but definite, direct communication of God's desires for your life? Maybe you're afraid to believe in yourself again, because before you had Christ you found that path to be very destructive. But now in Christ, you have everything you need to succeed and do God's work He's calling you to in earth. If you are struggling to believe in you, I have a word for you this morning that may speak to you. Please click into the picture above to see the full message.